Happy Holidays from the team at Wool & Co!. 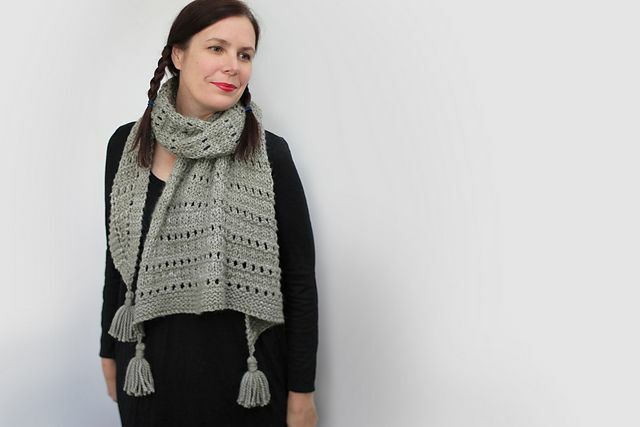 The feature pattern this week is the Sonder Shawl by Helen Stewart. 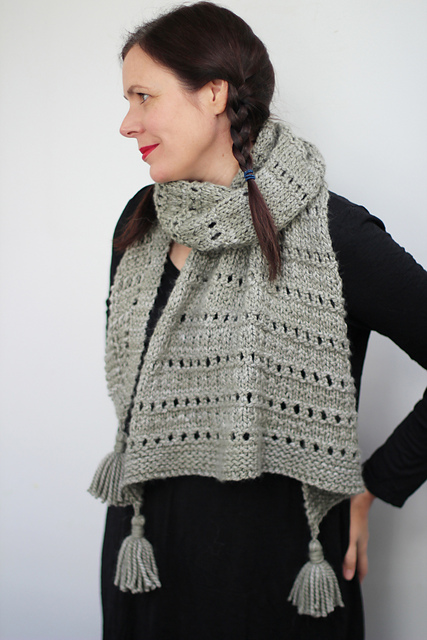 Knit with bulky weight yarn, this cozy, tasseled shawl is perfect for date night. Simple to knit, the pattern requires 360 yards of bulky yarn, size US 11, 40” circular needles, & a darning needle to weave in ends. One of our lovely staff members knit this shawl in Malabrigo Mecha & it is gorgeous. Other wonderful choices would be Plymouth Superwash Chunky, Malabrigo Chunky, or Brooklyn Tweed Quarry. Please enjoy shopping our collection of yarns in store or online.